Welcome back Maharanis! 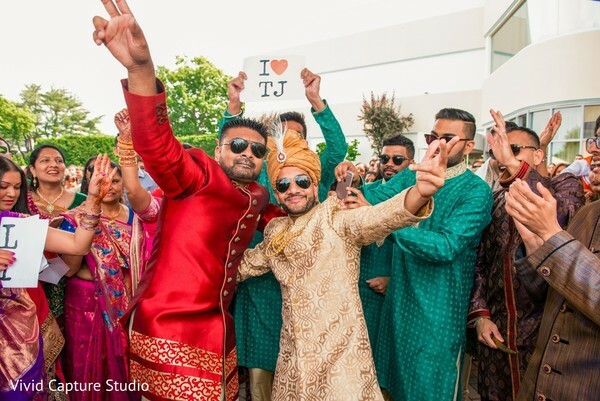 It is abundantly clear that Maharani Vishwa and TJ are the picturesque couple. 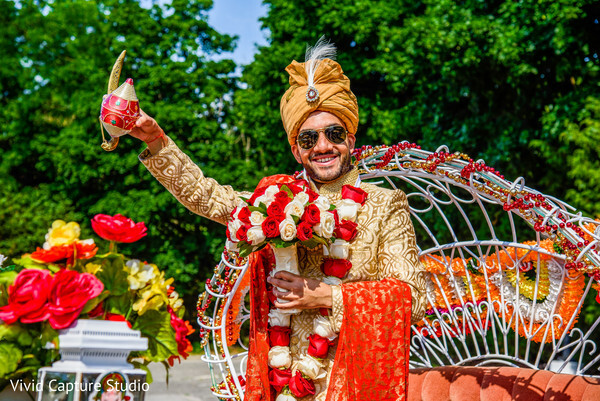 As apparent in these images captured by Vivid Capture Studio, the bride and groom’s wedding portraits are bursting with happiness, bold colors and of course, a whole lotta love! 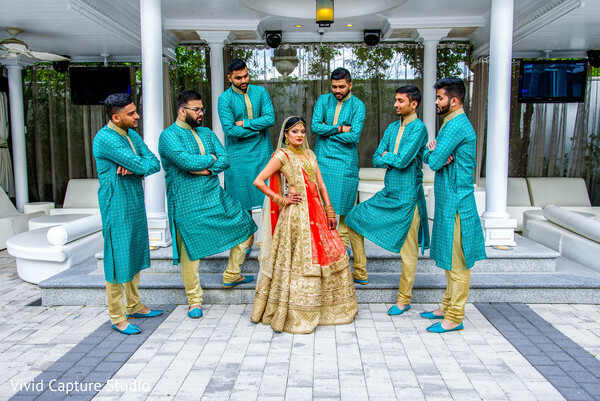 After getting glammed up by Simple Beauty by Preeti, the bride hit the courtyard of the Chateau Briand. 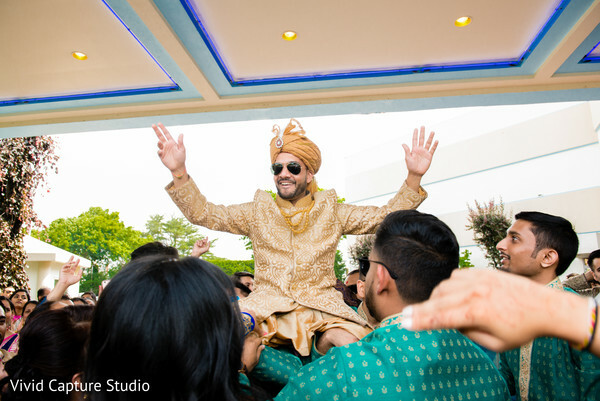 Maharaja TJ was regal in his own right in a matching gold sherwani and a royal mustard yellow turban. 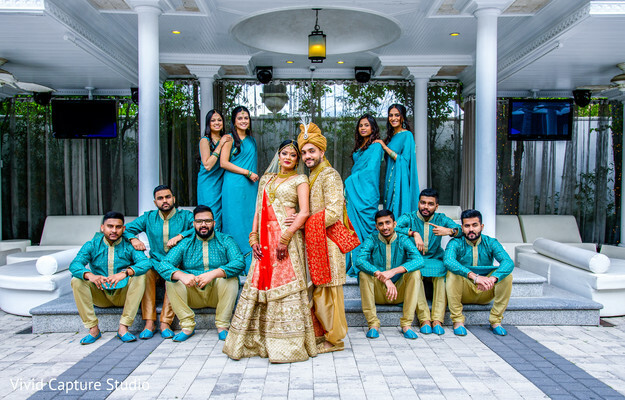 The bridal party was a matchy matchy delight in turquoise and gold ensembles that was both monarchical and a visual delight. 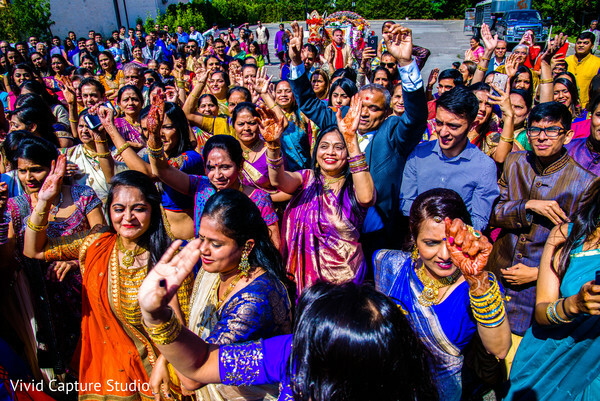 Equally impressive was TJ’s baraat ceremony that came in full swing to the venue with the masses dancing and doting their way to the wedding ceremony. 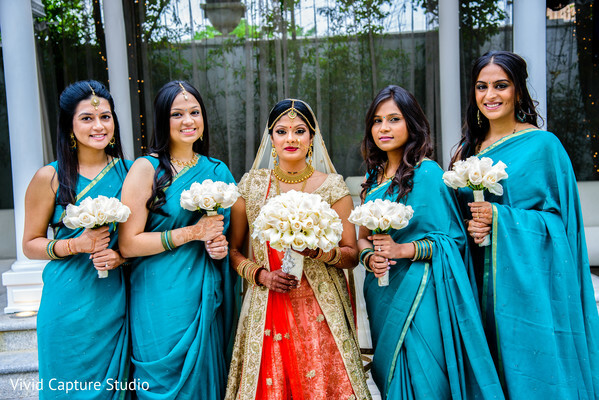 This group is here to stay and you are just going to love Maharani Vishwa’s gorgeous entrance in the next post. Can’t wait? The gallery awaits! 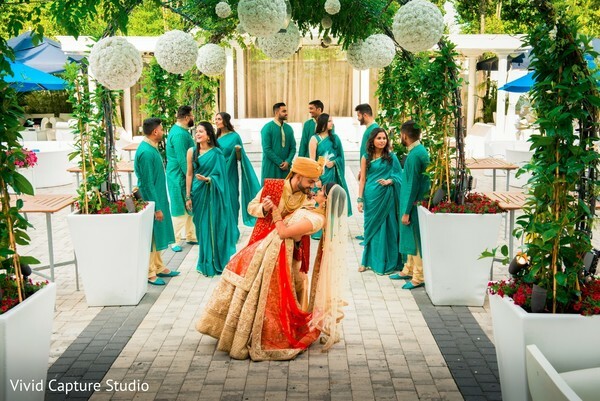 Platinum Guide Member DJ Monu Singh Entertainment always brings the beat to the parties and certainly brought the music euphoria to the Chateau Briand. See you in a bit! 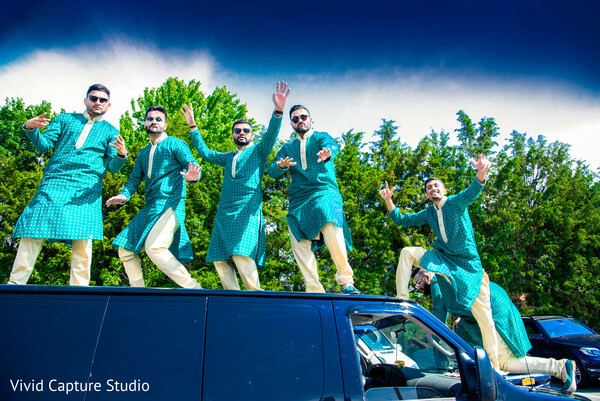 DJ Monu Singh Entertainment, Simple Beauty by Preeti, Vivid Capture Studio and Chateau Briand are members of the Platinum Guide. Love what you see? Explore their portfolios.